Mysterium is a multisensorial concert that redefines the traditional boundaries of listening to live music. A refined program of works for piano are presented in combination with an olfactory landscape (or scent-scape) carefully constructed with fine essences and paired with colored lighting design. This conceptual form of live musical performance, involves the audience in a new aesthetic and emotional experience. 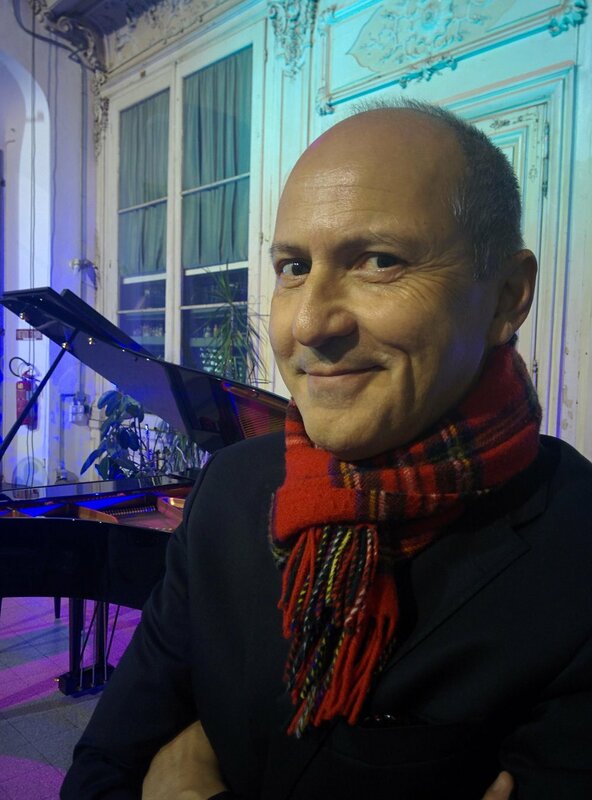 Maestro Artese adds two original suites for piano, “Lakes of My Mind” (2014) and “Inner Garden”, a series of musical portraits emerging from sensorial / olfactory memories inspired by walks in the botanical garden “Il Giardino dei Semplici” in Florence. Particularly suited to smaller venues, where the proximity of the audience to the musician permits a unique intimacy and direct involvement in the sensorial experience, Mysterium is highly recommended to curious and imaginative audiences interested in a vibrant and new aesthetic experience. Since 2014, Mysterium has been dazzling viewers at a variety of unique venues in Italy and Spain. Below the Mysterium blog recounts each and every concert, plus some extras like our new trailer!